If you need excellent rain gutter installation for your home in Canton, GA, pick Affordable Gutters Plus, LLC. We supply your complete gutter and roofing services, giving you top quality rain gutter installation for your home. Our aim is to ensure every rain gutter installation will last you as long as you own your house, giving you peace of mind and easing worries about roofing damage. With excellent craftsmanship and customer service, our licensed contractors provide you with quality service in town. For all of your rain gutter installation questions, we are just a call away. Give Affordable Gutters Plus, LLC a call at 770-735-4433 today for first-rate service and rain gutter installation in Canton, GA. 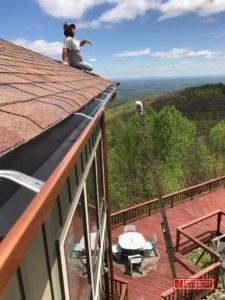 When you need home services, Affordable Gutters Plus, LLC is the one to select for houses in Canton, GA. You receive more than only rain gutter installation from our contractors who complete everything including roof and flashing services. Leaf Guard Gutters: Avert obstructed gutters with leaf guard gutters for your home! Metal Roofing: Metal roofing is a excellent choice for homes looking for a durable, energy efficient roofing alternative. Roof Drainage Repair: With roofing drainage repair, you get a system that works perfectly for your home. 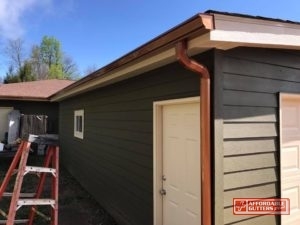 Seamless Rain Gutters: With high quality installation from Affordable Gutters Plus, LLC, you get a gutter that provides your house with defense without the worry of seam cracks. Squirrel Deterrent Flashing: Stop pests in their tracks with squirrel deterrent flashing for your house. And So Much More! Storms, hail and winds are averted from damaging your house by your roofing system. To increase the protection of your roof, have a quality gutter system installed. Want to get started on a rain gutter installation for your house in Canton, GA? Dial 770-735-4433 today to speak with one of our contractors about your house’s roofing and gutter service needs. You want your home to last you a lifetime. No matter how long you possess your home, Affordable Gutters Plus, LLC knows that you need systems you can rely on, which is why we install first-rate gutters for your home. We are licensed to install, repair, and replace your residential roof and gutters. You receive superior customer service and first-rate workmanship around with your roof and rain gutter installation. 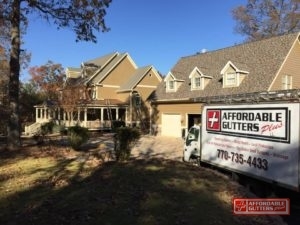 Contact 770-735-4433 for Affordable Gutters and quality rain gutter installation today.